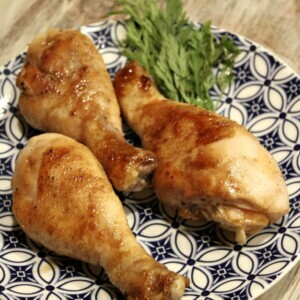 Here is an easy recipe for Honey Molasses Chicken Drumsticks. This is a great recipe to make for families with young kids. Kids definitely are drawn to the appeal of picking up drumsticks with their fingers. Finger foods are fun for kids! 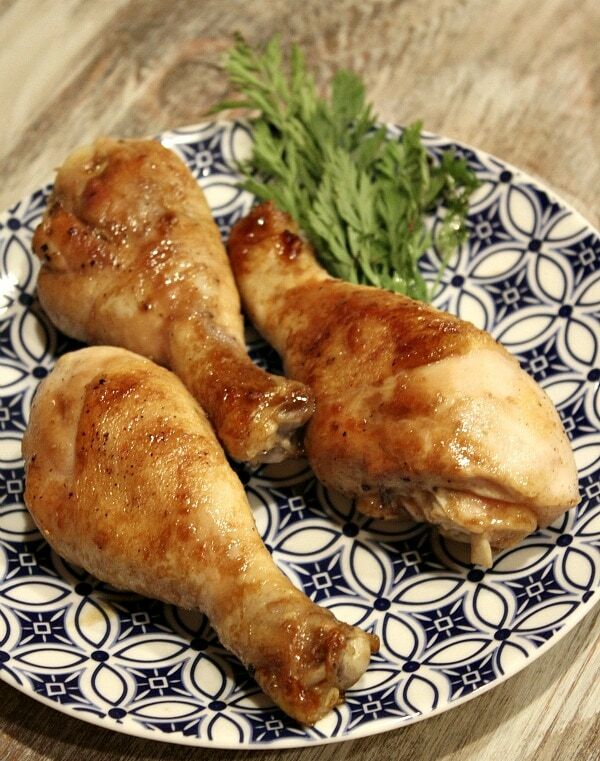 Picky eaters tend to love these drumsticks. They’re covered with a simple glaze, and they’re delicious! 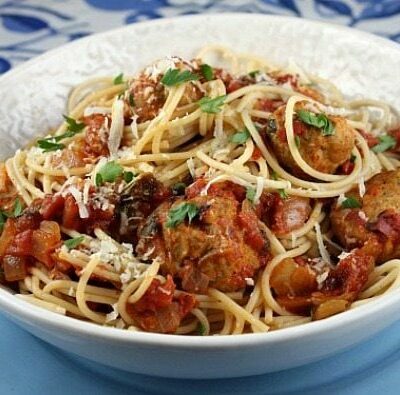 Combine sauce ingredients in a small bowl; whisk together and set aside. Heat oil in a large nonstick skillet over medium-high heat. Sprinkle chicken with salt and pepper. Add chicken to pan, browning on all sides. Add honey mixture to pan, turning chicken to coat. Reduce heat to medium-low. Cover and cook 15 minutes or until chicken is done, turning chicken every 5 minutes. Uncover and cook an additional minute or until mixture is thick and darker color, and the chicken is well coated. Remove from heat; serve immediately, or cool before refrigerating. Nifty tip: Before measuring out your honey, spray your measuring spoon with nonstick spray. The honey won't stick to the spoon and it will slide right off! Hi! 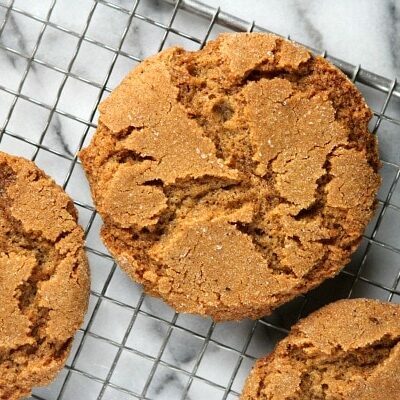 Is there a substitute for the molasses? I don’t have that readily available. Thanks! I love your recipes Lori! This one did not disappoint, the chicken was delicious but the sauce was the highlight of the recipe. Bravo … another gourmet meal!! This isn’t a recipe that is meant for the fryer. 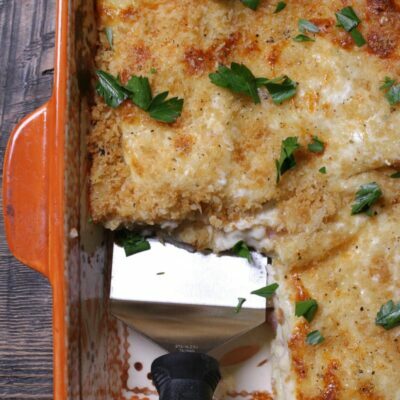 This recipe looks great… but I ran out of dijon mustard. Is there anything I can use instead of the mustard? Cider vinegar maybe with a little mustard powder? Just don’t want it to be too spicy for the kids! Sorry for the late reply- I was away on vacation. Did you try it as you mentioned? Way too sweet! Next time I’ll eliminate brown sugar or honey, maybe add a little more mustard or vinegar.